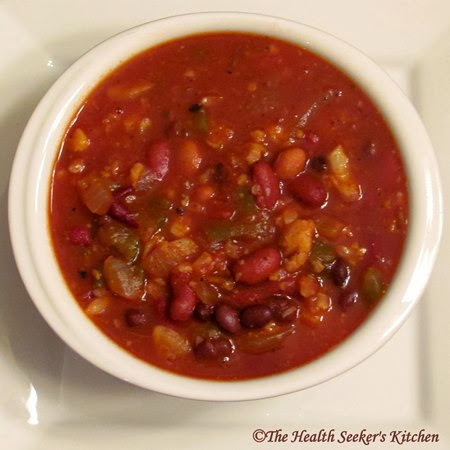 Most of you know that I am all about packing in the nutrients, so I created a chili using a whole head of cauliflower. The health benefits of cauliflower are huge and you will find it virtually undetectable and delicious! The secret is to cook your cauliflower in a separate pan with onions, garlic and all the seasonings, then add it to the chili. The fitting name I decided on was Cauli-Bean Chili. When feeding your family and loved ones, you need to pack in as much nutrition as possible to insure a healthy immune system. 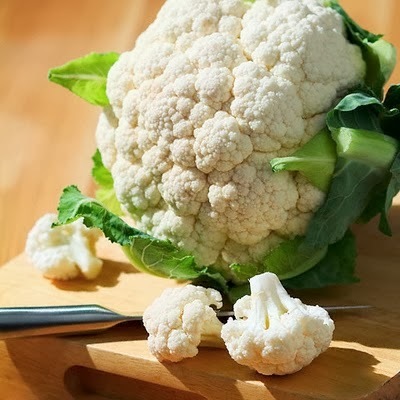 The health benefits of cauliflower are huge and accomplish this support. 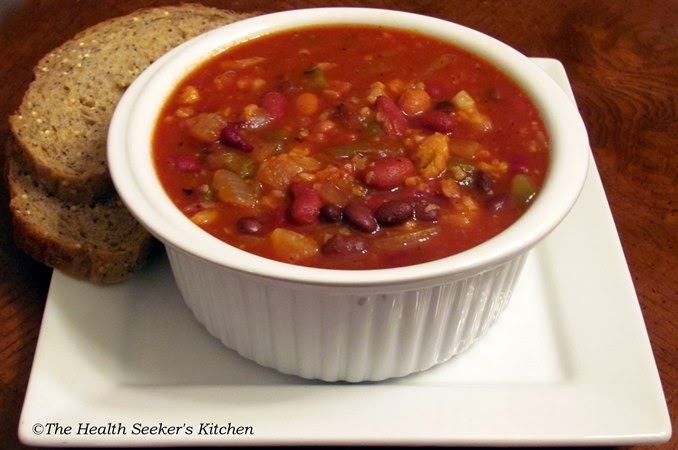 I hope you will give it a try and enjoy a bowl full of power packed nutrition. Wash and remove center of cauliflower. Break up remaining cauliflower and place in food processor. Process lightly into little pieces. Place in pan with 1 tablespoon heated olive oil. Cook for several minutes. Add seasonings and sprinkle with salt and pepper. Continue to cook on medium heat until cauliflower is soft and flavorful. In large soup pot combine onion, garlic, green pepper and Anaheim chili. Cook until soft. Add 2 cups (480 ml) of chopped fresh tomatoes and continue to cook for 5 minutes. Add tomato sauce, beans, lime zest, lime juice and cauliflower. Bring to a boil and simmer for 5 minutes. ENJOY! Looks really delicious and, surely, healthy. I think http://skywritingservice.com/blog/thesis-writing-services I should cook it somehow. I do like soups with beans anyway.